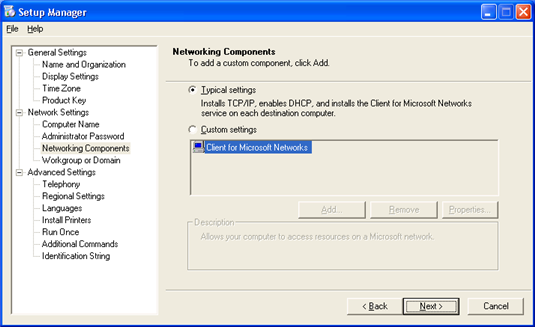 Although sysprep is a great tool, it does lack certain options, particularly when you want to customise certain scenarios. One of the largest gripes you may have is that setupmgr.exe does not give you an option to prompt for a computer name. 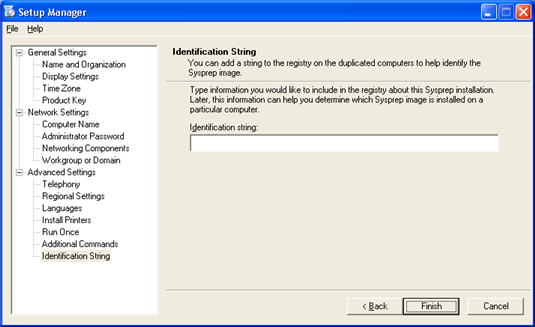 This step by step tutorial will demonstrate how to get sysprep prompting you for a computer name and also demonstrate how to prepare your image ready for deployment with hard disk imaging software, such as Ghost or the Microsoft WIM format. 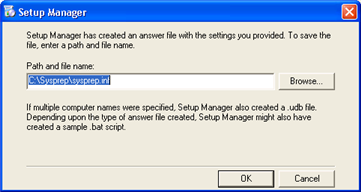 If you’ve ever worked with sysprep before Business Desktop Deployment (BDD) came into the picture, you may have come up against a bit of a dilemma; sysprep only gives you two choices, either enter an explicit name or it will generate a random name upon the reseal operation. 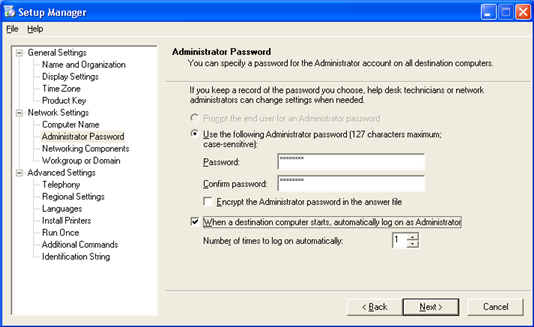 Obviously this causes some problems, particularly if you want to join the computers to the domain but don’t want random names polluting your Active Directory. Create your desired Windows XP installation - this requires you to install a windows computer complete with drivers and any end user applications such as Office, Adobe Acrobat reader etc. You get the idea. 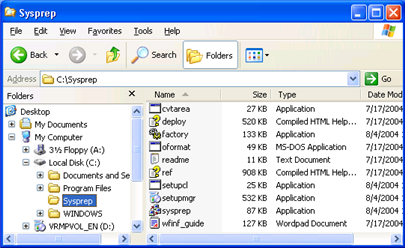 Browse to c:\Sysprep and run Setupmgr.exe - SetupMgr.exe is a wizard style application that helps you create the Sysprep.inf file which is used by the sysprep process. 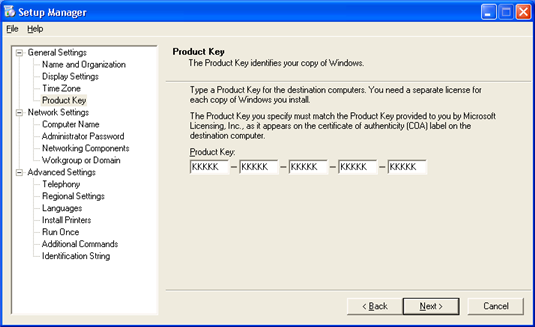 On the Product Key dialog, enter in your Operating System key and click Next. 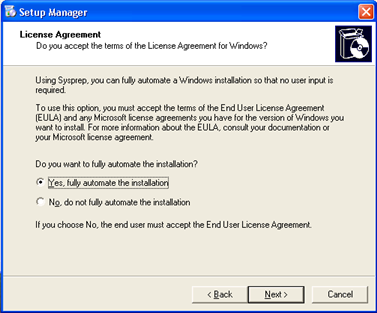 Ensure that you use a Volume License key to avoid issues with activation. On the line where it says ComputerName=* delete the *. 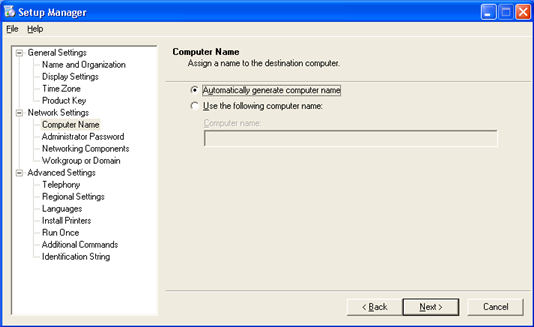 The star tells sysprep to generate a random name. The absence of the * character will cause the process to prompt you for a name before moving onto the next stage. Save the file. 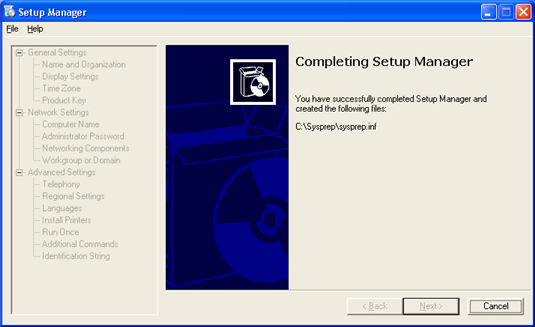 We now need to run the sysprep tool. 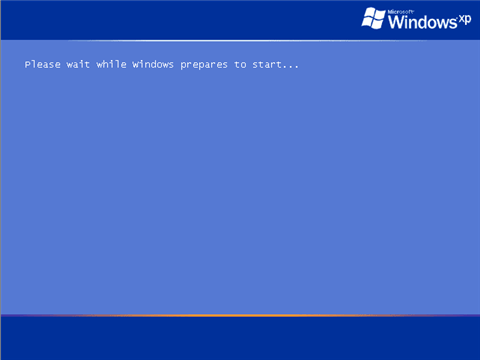 Run c:\Sysprep\sysprep.exe. When you run the tool you are alerted by a warning box. 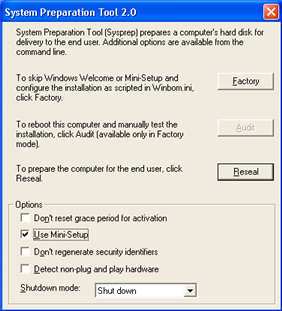 Click OK.
On the System Preparation Tool dialog, tick Use Mini-Setup, select Shut down from the drop down list and click Reseal. 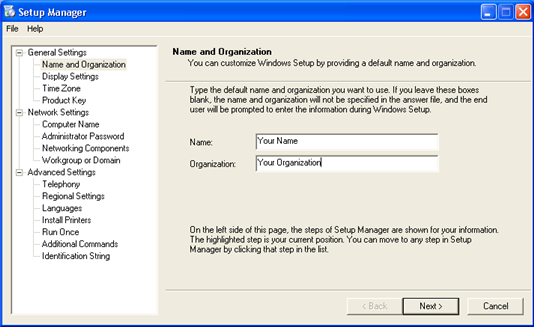 Sysprep will now get rid of any machine specific identifiers and shutdown the computer. The hard disk is now ready to be imaged. 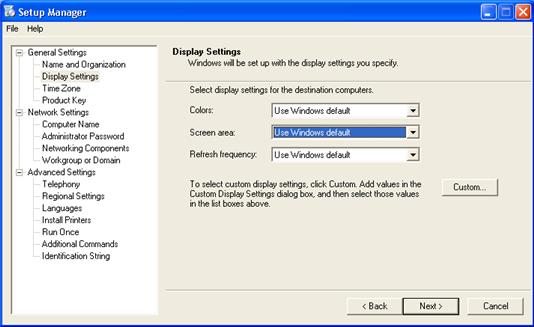 You can at this stage use tools such as Ghost or boot using your WinPE CD and capture the image to a WIM file. 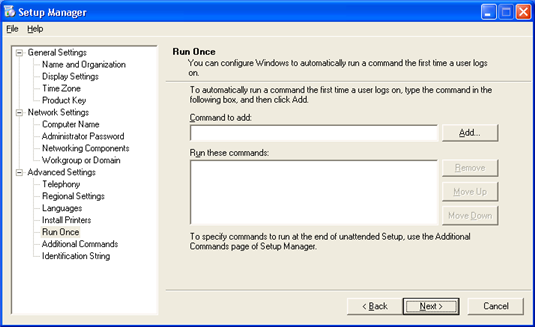 Deploy your image to a computer and restart it. 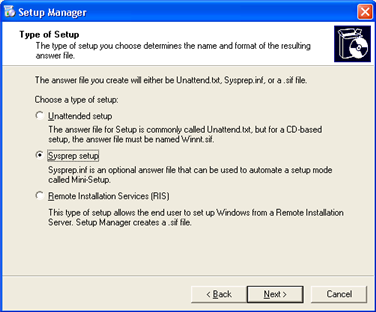 If you start the new computer using the newly deployed image, sysprep will now setup Windows according to the settings in sysprep.inf. 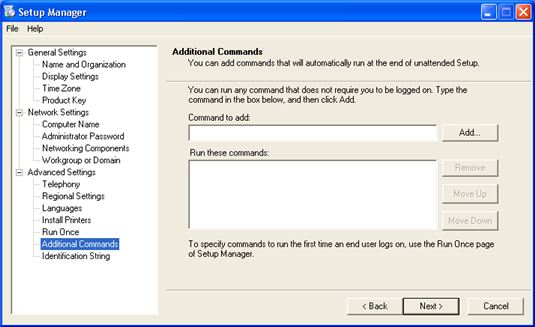 The computer will now go through its final setup routines, restart and log you in as the local administrator. 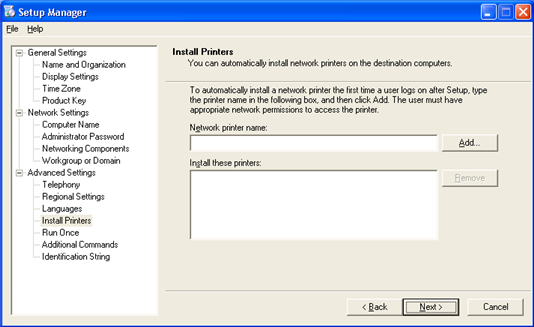 At this point you can join the workstation to the domain or not.